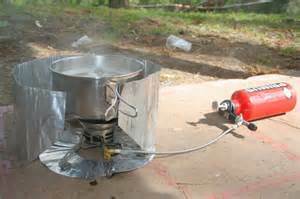 If you find yourself in a semi-stable situation you may be able to take advantage of a little more sophisticated cooking option, a stove. Ok, maybe not a full on 5-burner kitchen stove but at least a stove that would give you more options and the ability to cook more food for more people for a longer period of time. 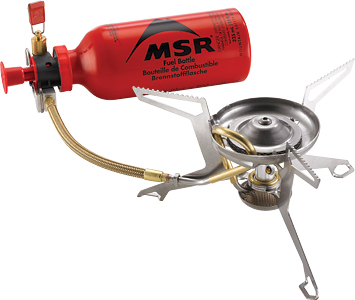 My first option would be a MSR Whisperlite International multi-fuel backpacking stove. This little beauty is truly amazing! It provides a lightweight solution to cooking that gives you serious fuel flexibility. And during an emergency situation one item that might be in the shortest supply could be fuel, any kind of fuel. The Whisperlite gives you options of three different fuels to keep this stove running. Let’s talk first about portability. The stove weighs less than a pound. The heavy nylon bag that it packs into measures about 4”x4”x6” when the stove is folded up and pack away. One of the coolest features is its fuel capability. The stove can burn white gas, kerosene, or unleaded gasoline. This gives you options for cooking that you can find in few other places. The Whisperlite’s fold out legs can handle an 8” pot or pan with no problem. And all components of this stove are stainless steel for long life and easy cleaning. With a standard 20oz. fuel bottle you get about 2-1/2 hours cooking time. To boil 1 quart of water it takes 3 ½ – 4 ½ minutes depending on the fuel being used (gas/kerosene). Larger fuels bottles are available. 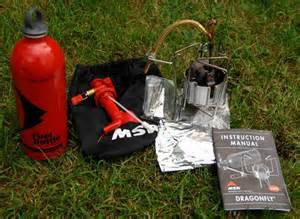 Note: I carry an Expedition Service Kit for my Whisperlite just in case I need to do a simple field repair to my stove. Tip: MSR also makes a really cool pot that is the right size for the Whisperlite. Plus, you can pack the stove inside the pot for easy storage and transporting. There are other pot options so you don’t have to get locked into one specific brand. 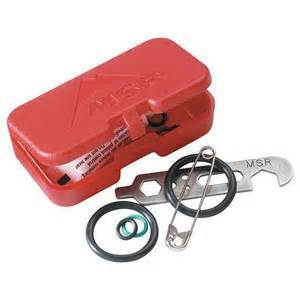 The stove can be found on Amazon for about $99.00 (shipping included), the service kit about $30 (shipping included), and the fuel bottles run $14 – $21 (shipping included) each depending on size. I like the larger fuel bottles myself.